It is funny how things change, I have never enjoyed Feather DE blades, but yet lately I feel like I have cracked the code and am getting outstanding shaves with them. I feel like I have been too harsh on them in the past, but I think it was the quality of the soap I was using when I first tried them. Funny how using premium soaps can change your mind on blades. I've found this out too. The soap greatly influences the shave. Soaps I thought were pretty good.....became dogs when I found really good soaps. 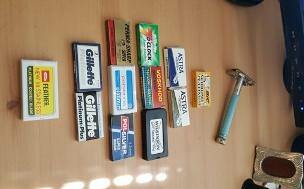 Gillette 7 O"Clock (Green), Voskhod, Perma-sharp, Personna Platinum, Polsilver and Bic. and Wilkinson Sword, and then the Gillette (Red) Super Speed Flair-Tip and Astra Superior Platinum. The Razor in the photo is a 1970 Lady Gillette going off to a great lady friend, I've been "Test Driving" the razor (on my face) after I gave it a good cleaning and polish, it shaves real nice. I'll start her off with Asra Stainless (Blue) and Wilkinson Sword blades. As of right now it is the vintage Personna Super Platinum Chrome. Where do you get your Wizamet's from? Source pls. They are vintage blades ... only second market. so far Polsilver. still working my way through other samples. I've come to realize that the only way to get involved in the blade forum, which is my main interest, is to discuss current blades. 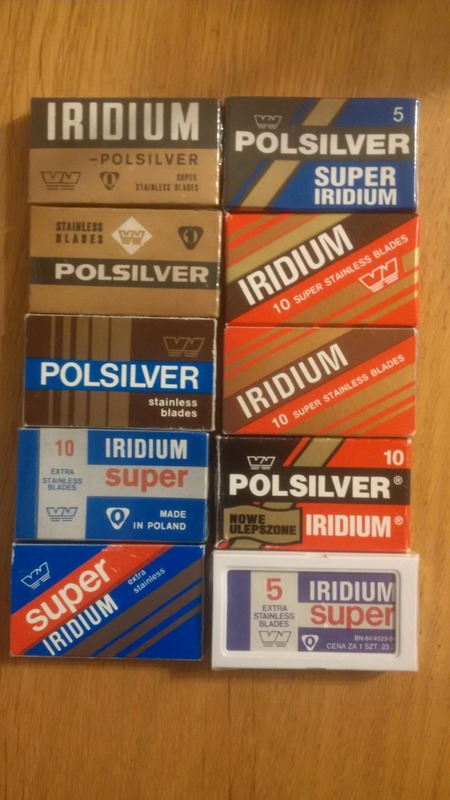 So when I was using them the above were definitely in my rotation ( the first two I believe to be the exact same blades just one only comes in 5 tucks and the other 10 ) along with Gillette 7 O'clock Yellows, Silver Blues and the surprisingly excellent Rapira Swedish Super Steels. Feathers followed by GSB's. My early experience with Feathers was not good at all, but my lathering and technique needed work. Once those got better, the Feathers became my favorite. The GSB's are smoother for me, but just a bit less sharp. SE - Feather Pro all the way. Smooth and consistent. Lasts many shaves. DE - A tie for Feather and Kai. Not so many shaves but consistent. — Are there any more blades in the world? which ones will you prefer?